Silent Bricks with their integrated data protection help reducing the load on primary storage and backups. Unstructured data outgrow their productive counterpart by far. Data that is not used in daily business by many users and doesn't change much should thus be moved to a secure file storage. That saves you from expanding your primary storage and lifts the burden on backups, leading to reduced TCO. Storing data on Silent Bricks with SecureNAS is much more secure than using a regular NAS, offering protection from data loss and manipulation (think: ransomware). Up to 3 of the 12 disks (or SSDs) in every Silent Brick can fail without affecting the data. Replication doubles redundancy to a level of 6. And the integrated data protection with Continuous Snapshots saves you data manipulation. The Silent Brick System‘s movable storage media is independent from its general storage IT. This guarantees high-performance components for connections, and also allows for maximum flexibility and individual configuration of the media. Also, it enables replication on a per-media basis, ease of transport and off-site storage. The Drive is the most affordable entry to the Silent Brick System - or its ideal companion. 2 slots for Silent Bricks offer up to 48 TB gross capacity. Silent Bricks are equipped with fast SSD's or economic hard disks and offer optional hardware WORM sealing for compliant archiving. Featuring 5 slots, the Controller offers up to 120 TB gross capacity. It can be expanded with Extension Shelves with 14 slots / 336 TB gross each. All of our components and systems are designed to operate for a minimum of 10 years. 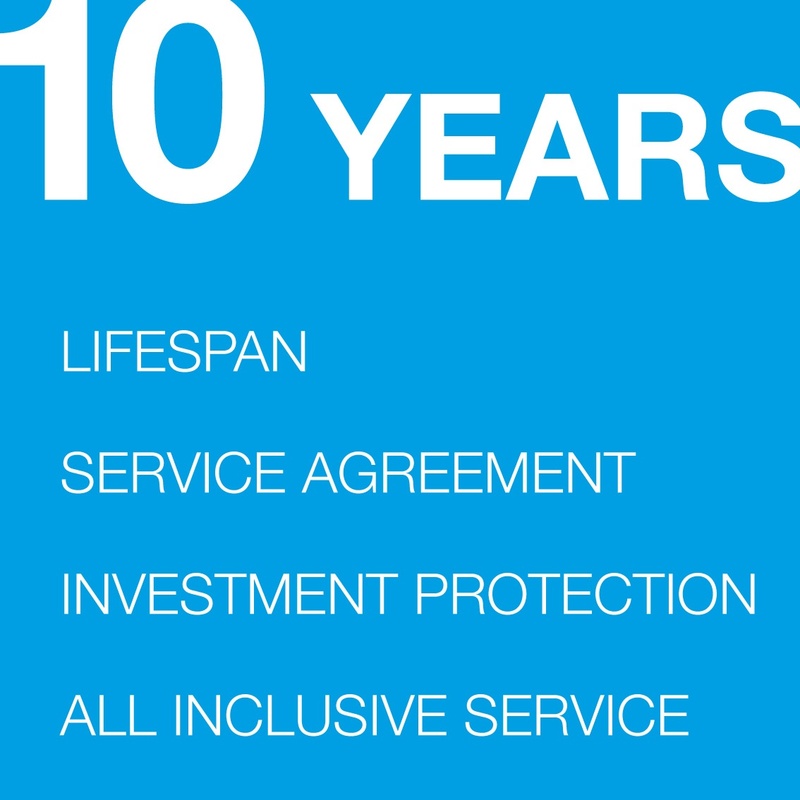 For this reason, we also offer 10-year service contracts under set terms. Data protection also means resilient storage systems. The upcoming EU General Data Protection Regulation (GDPR) explicitly requires resilience of IT systems as part of data processing (Section 2 GDPR): It requests „the ability to ensure the ongoing confidentiality, integrity, availability and resilience of processing systems and services“.